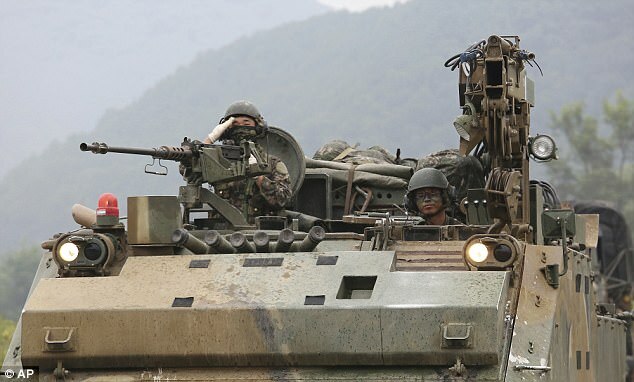 South Korea is looking to build a hybrid 'frankenmissile' able to destroy North Korea's underground nuclear testing grounds and hidden military bases. The new type of missile would be able to reach any point in North Korea, and capable of carrying up to two tons of warheads, according to a military source. This follows Tuesday's decision by the Trump administration to agree to South Korea's request to remove restrictions on missiles, which dictated a 500kg limit on warheads. The weapons are called 'frankenmissiles' as they are hybrids of two existing types of ballistic missiles. This shift by South Korean President Moon Jae-in, who took office four months ago, shows how seriously the country is taking both the threat from North Korea, and its alliance with the United States. 'The measure would dramatically boost South Korea's retaliation capability against North Korea,' said Professor Kwon Yong Soo at Korea National Defense University told Straits Times. 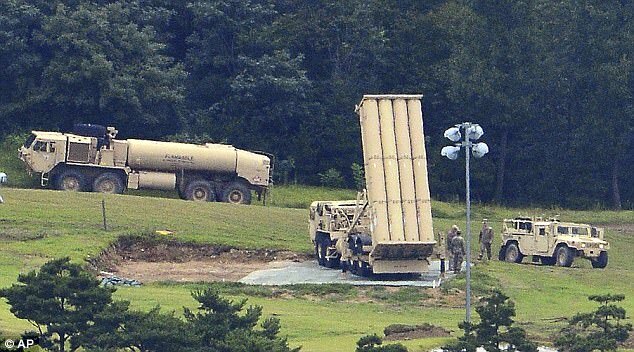 Earlier today, Seoul's Defense Ministry announced that the U.S. military will be adding another four missile launchers to the Terminal High-Altitude Area Defense [THAAD] system in South Korea on Thursday to better cope with North Korean threats. 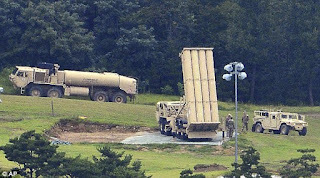 A THAAD battery normally consists of six launchers, but only two have been operational so far at the site in rural Seongju, a former golf course. New satellite images from North Korea shows that Kim Jong-un caused multiple landslides with his hydrogen bomb test at the weekend. North Korea's latest test caused two earthquakes amid speculation the rock over the site had caved in, initially sparking fears radioactive material had leaked into the atmosphere. It was later confirmed by Seoul the radiation levels were normal, but the H-bomb explosion comes after warnings the dictator's continuous meddling with weapons could bring an entire mountain down - including one of the world's most potentially deadly volcanoes Mount Paektu. The underground blast on Sunday caused a 6.3-magnitude earthquake, according to the US Geological Survey, and was followed a few minutes later by another with a magnitude of 4.1. Pyongyang said the test was of a hydrogen bomb that could be fitted onto a missile, heightening tensions over its weapons ambitions and prompting global condemnation.